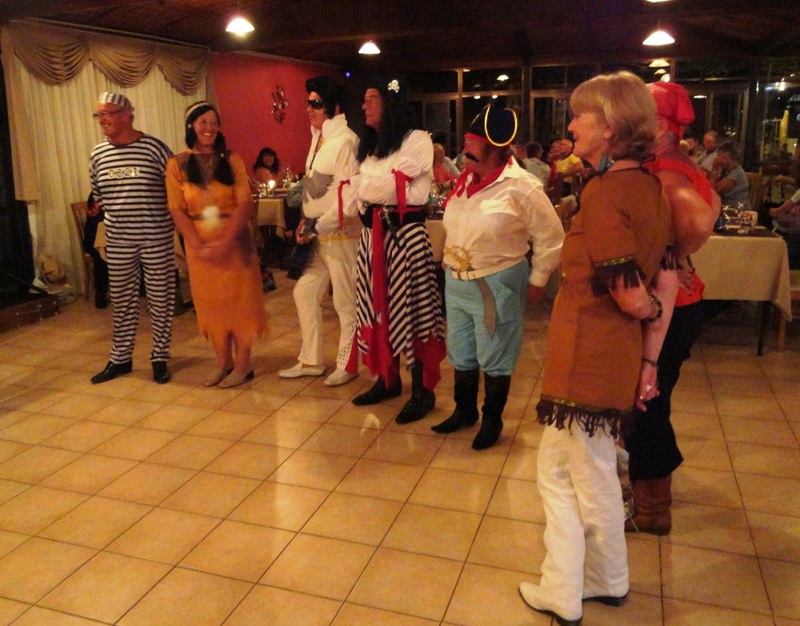 Where would you find Captain Kidd, Elvis, Hiawatha, a 20`s Flapper, an Hawaiian Tropic Girl and Cross Dressing Pirates in the same room? 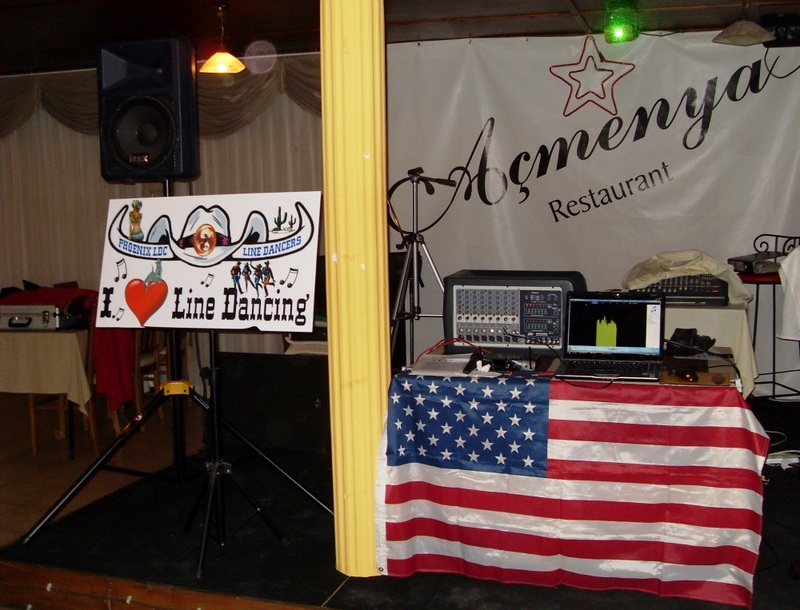 The answer is easy if you attended the Fancy Dress Line Dance Party at the Açmenya Restaurant, Alsancak on Friday 27th April held by Phoenix LDC. 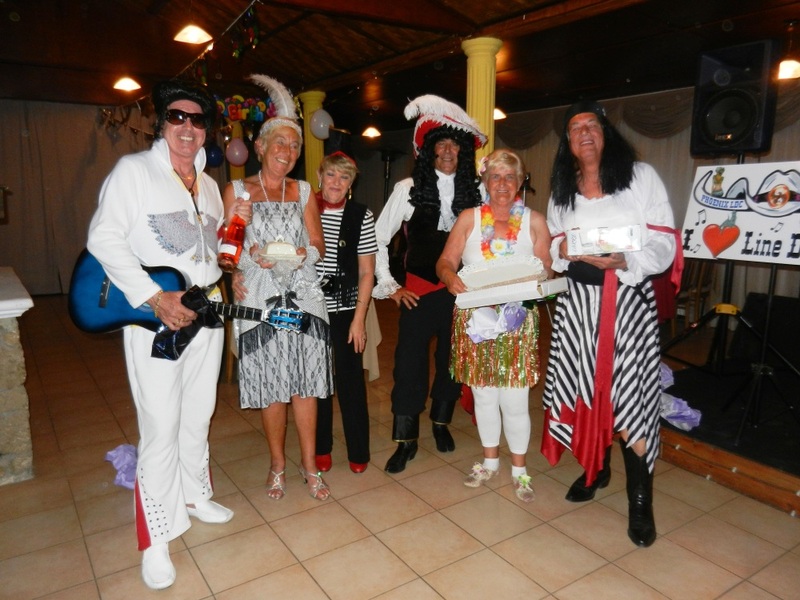 They were among the brave souls to be togged up for the Fancy Dress competition as part of the evening’s entertainment. 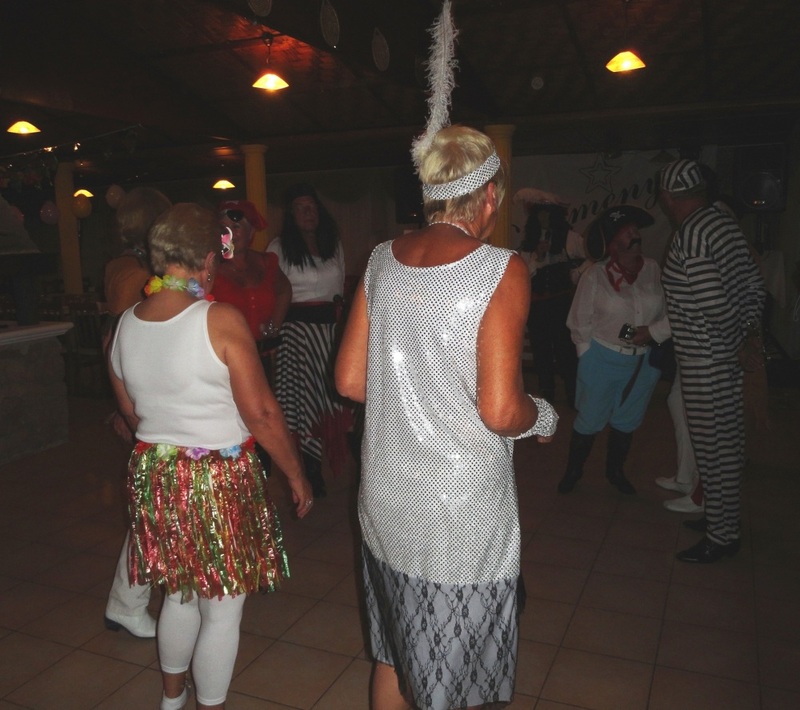 With members and guests totalling over 50, the evening was set to be a lively affair. 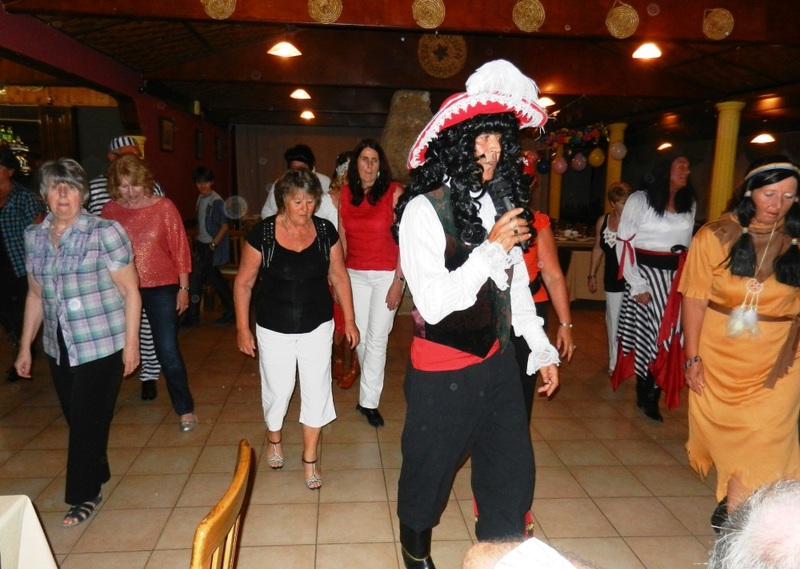 The “Parade of the Characters” took place and this year the independent judge was the renowned Marion Stuart of the Cyprus Star. Her Task to choose the winner and runner up for best Male and Female entries was made difficult by the sheer quality of the entrant’s costumes and after careful deliberation; she announced the results as follows. Runner up: – Cath Gray as a 20`s Flapper. 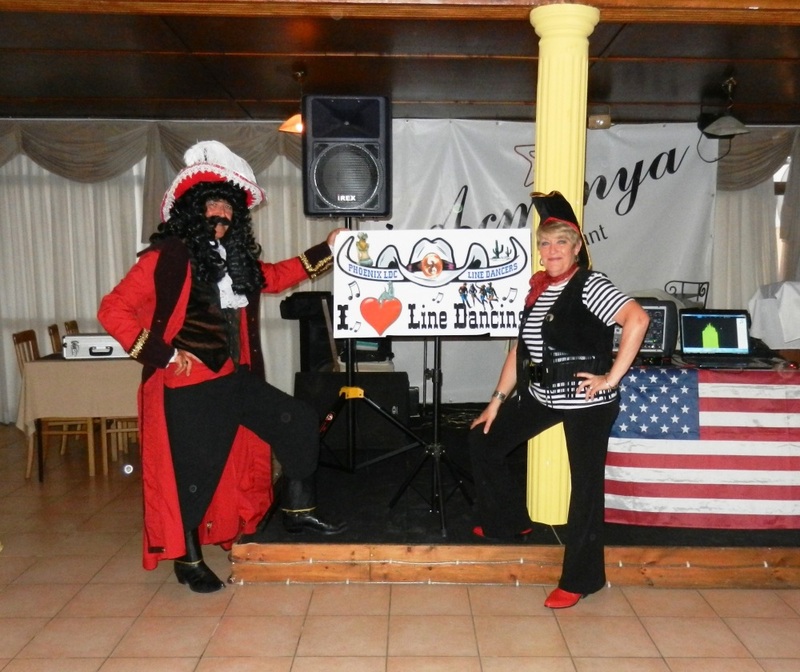 Best Male: – Mick Bone as a Cross Dressing Pirate. 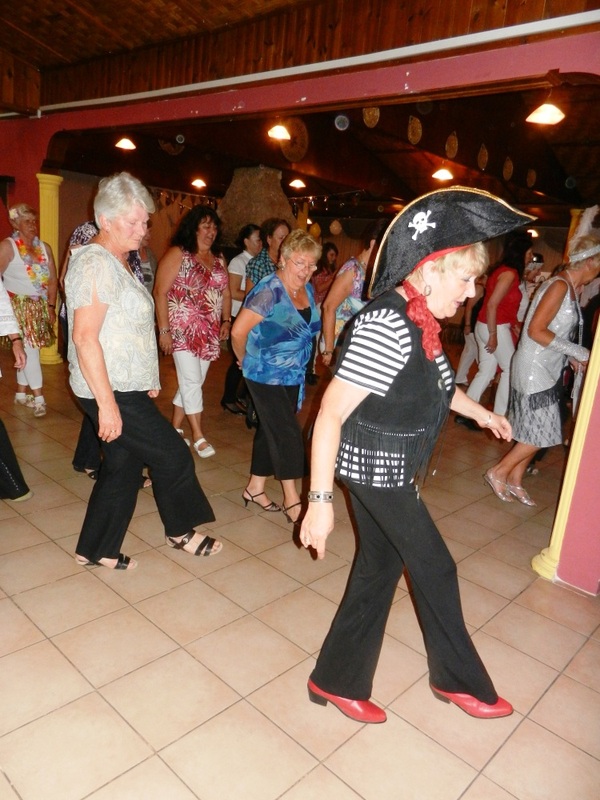 The linedancing followed and it was good to see the floor packed with the members enjoying the dancing although Captain Kidd was looking hotter by the minute while he was leading the dancing in his curly Captain Kidd wig. 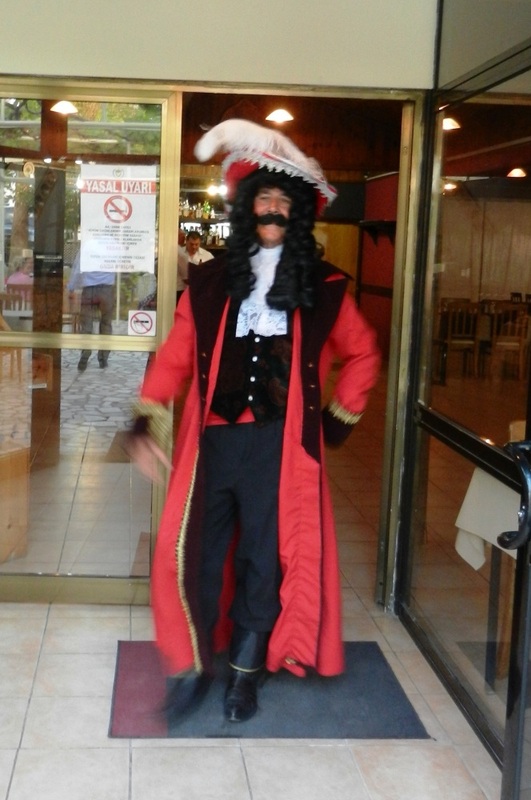 Later on, the wig adorned the back of a chair and Steve continued the dancing feeling a lot lighter. The evening came to a close with everyone having had a good time and as always-huge thanks to Steve & Denise for their tireless commitment to the enjoyment of everyone. 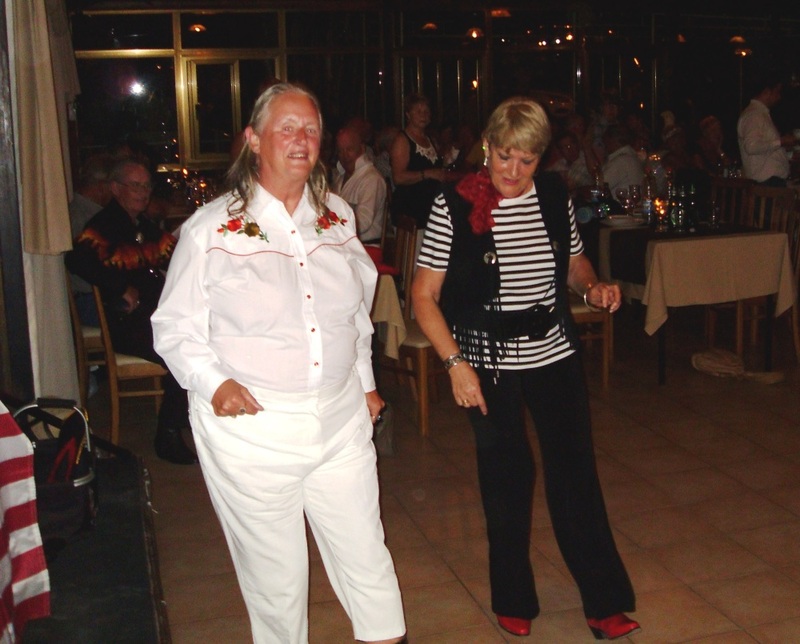 This entry was posted on 01/05/2012 at 5:44 pm and is filed under line dancing. You can follow any responses to this entry through the RSS 2.0 feed. Responses are currently closed, but you can trackback from your own site. next time Steve needs stronger glue to cope with the wayward moustache! But what a fab bunch of fun makers – and their dancing is pretty good too. Some truly nice and utilitarian info on this web site, also I think the pattern contains superb features. Great photo`s. pity your offical photographer was not there!!! Sorry we missed the party. Mick looked too good, shame about the face. Thank you Anna for the choreography, it is one of our favorite dances. Have a great summer too.